Problematic yoga in palm, life disturbing yoga in palmistry, Yogas that makes poor, Yogas that creates struggle in life, How to over come from problematic yoga in palm?. If you want to know that whether there is a struggle in life or not then this article will help you, if you want to know about the defame in life, financial crisis in life, problems in life then this article will clear you about this. Here i am going to clear some yogas as per palmistry or palm reading which creates problems in life. But before starting i just want to say that there is no need to fear about any thing negative in life there is a solutions of every thing. By knowing about problem we just get aware about the life. By adopting right ways of astrology and occult sciences it is possible to over come from any problem. If in palm mount of Saturn and Moon is depressed, there is a crossed lines on the plain of Venus and if the fate line is weak then the person faces problems due to shakat yoga. It is very unfortunate to take birth with this yoga as it creates struggle life long. Defame, debt walk along with this person. It is said that if there is a star sign on Mercury finger, every mount is weak and there is a dot on Moon plain then daridra yoga form in palm. If the moon mount is weak and having many crosses then also daridra yoga form. If fate line and sun line is present but if they are broken from several points and depressed with depressed mounts then also daridra yoga forms. There is no need to say about this yoga as the name clears every thing. If this yoga is forming in palm then the person become poor and life life like a beggar. Person has to sacrifice very much in life. When Saturn mount, Venus mount and Sun mount is depressed in palm and sun line is brokenthen durdhara yoga forms in palm. Person having this yoga suffer very much in some years after birth. But after passing of adult life this type of person find growth in life. With the age this type of person get growth in life. If the mount of Venus and Sun is depressed and sun line is broken then this yoga form. This type of person changes his livelihood frequently and life is very unstable. This type of yoga make a person dependent on others. In spite of doing hard work person is compelled to live life of a poor. If there is a lack of Sun mount and if the sun line is broken then ashubh yoga form in palm. This type of person lives a general life also don't hesitate to cheat any one. If any line from rahu plain is meeting with any line in Moon plain and making cross then grahan yoga form in palm. This yoga is responsible for different types of problems life long. Person also faces problems due to evil eye effects. Inferior complex also surround the person. A star in the root of Middle finger or Saturn finger make this dangerous yoga. This type of person die because of their own efforts. If there is a sign of star on the mount of Saturn and at the top of the finger if there is a white spot then arist yoga form. This type of person easily get trapped by negative energies in life and suffers a lot. 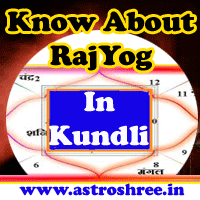 If any relation is forming between rahu and moon plain or rahu and Sun plain then this yoga will form. Person having this yoga suffers from any type of mania. So above i have given some problematic yoga which creates struggle in life, financial problems in life, diseases in life etc. Here i want to say that Yes, it is possible to change our destiny but it needs passion, hard practice, trust on super power, believe in spiritual master and trust on own self. Bhakt dhruv has did this and proved that with the god grace any thing is possible. Bhakt dhruv was not having the love of father in his life and he was in search of father. Some one told him to pray to Vasudev who is able to provide any thing in life and dhruv started reciting the name of lord vishnu and after some time god has fulfilled his wish. There are many other stories present in our holy epics which also shows that by god grace it is possible to change our destiny but we have to follow a particular path and we have to perform a particular process to get what we don't have in our life. So don't get nervous if you are having struggle in life, don't get depressed if success in not present in your life, just wake up and take a step to change your destiny. Positive energies are ready to show us right path but we have to do something special. Palmist views on Palm reading and solutions of problems, How to read palm to know problems in life.Problematic yoga in palm, life disturbing yoga in palmistry, Yogas that makes poor, Yogas that creates struggle in life, How to over come from problematic yoga in palm?.